On the day I made this, I had an ultimate lazy day. It was the Monday after the Superbowl, I had the day off, and I never got out of my pjs. Yeah, I love those days too! At about 11am, I brilliantly noticed that if I didn’t get up right then and throw something in the crockpot, we would be eating out of a can for dinner. I knew I had pork, and that was about it. For some reason I got a craving for my oma’s cooking. Not sure where it came from, but it was strong. And the recipe just came to me. 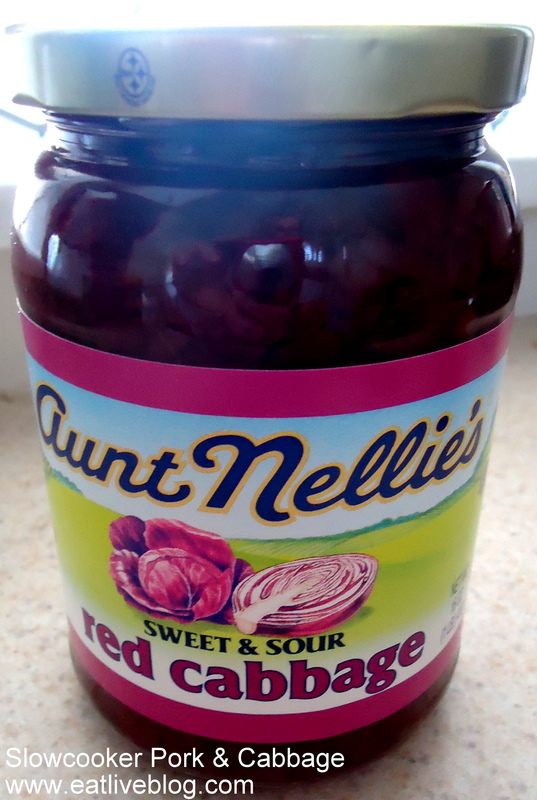 Luckily I had a can of Aunt Nellie’s Sweet & Sour Red Cabbage on hand….I know, what are the chances? 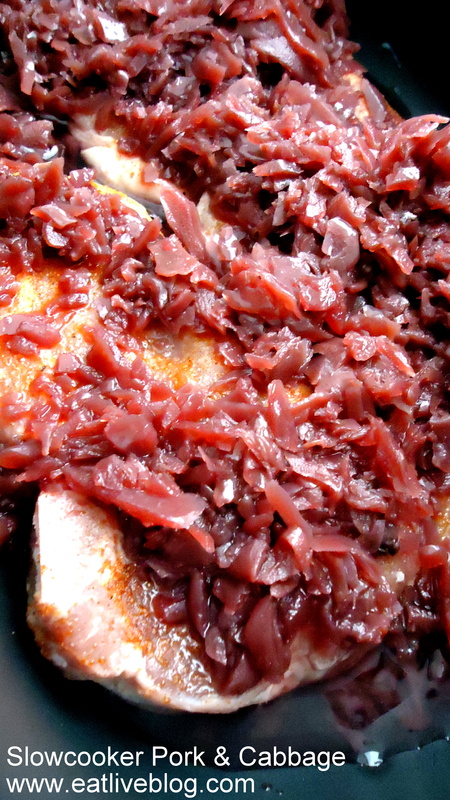 If you have never had jarred red cabbage, go out and get some, right now. It is in the veggie aisle of any grocery. It is perfect as a side dish, just saute half a peeled, chopped apple and half a chopped onion, add the jar of cabbage and let it simmer for 20 minutes. Delicious! Back on subject. Pork. I used a homemade rib rub on the pork, but you can use any brand of rib rub you find. The flavor of the rub on the pork worked together so well with the cabbage. It really did taste like it came from my oma’s kitchen. I have a feeling she was with me in the kitchen guiding me on this one…. 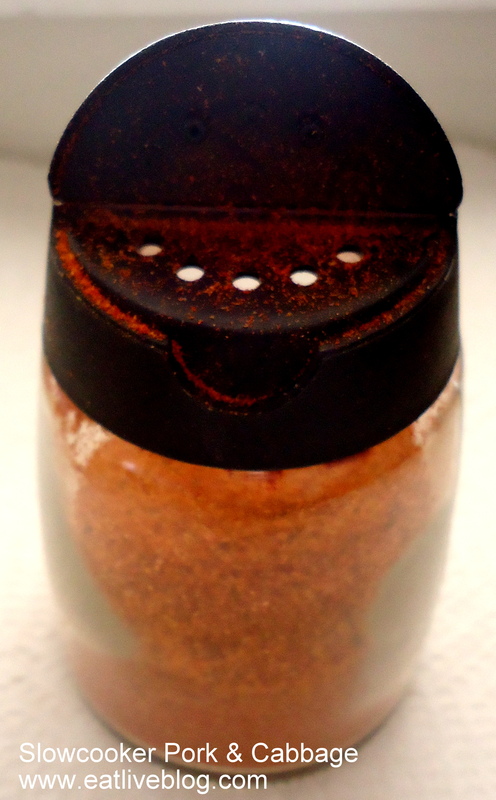 Homemade Rib Rub - Recipe Soon! Today is the last day to vote for the Boston Brunchers in the category of Lifestyle/City for a Boston Innovation Insider Award! Please take 2 seconds to vote! 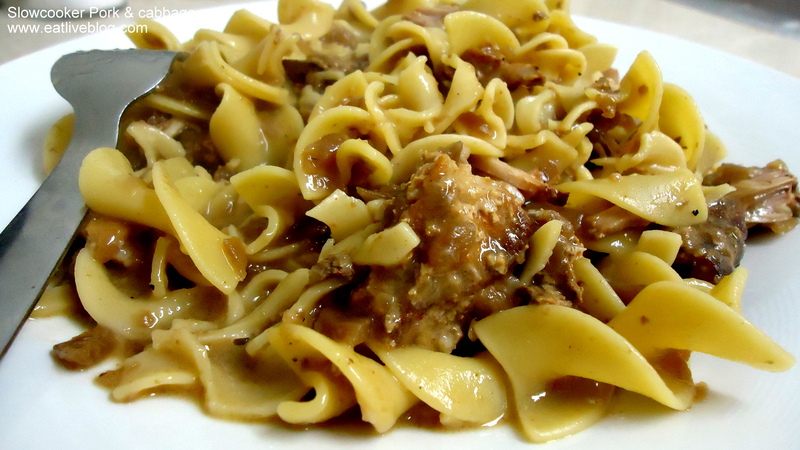 This entry was posted in Recipes and tagged #crockpotwed, crockpot, dinner, German, hungarian, main course, main dish, pork, recipe, red cabbage, slow cooker, slowcooker by reneeh. Bookmark the permalink. I haven’t used my slow cooker in several months. I love lazy slow cooker meals, especially for the weekdays. This looks like a great meal! And I don’t think I’ve had the sweet and sour cabbage, so I will have to change that. 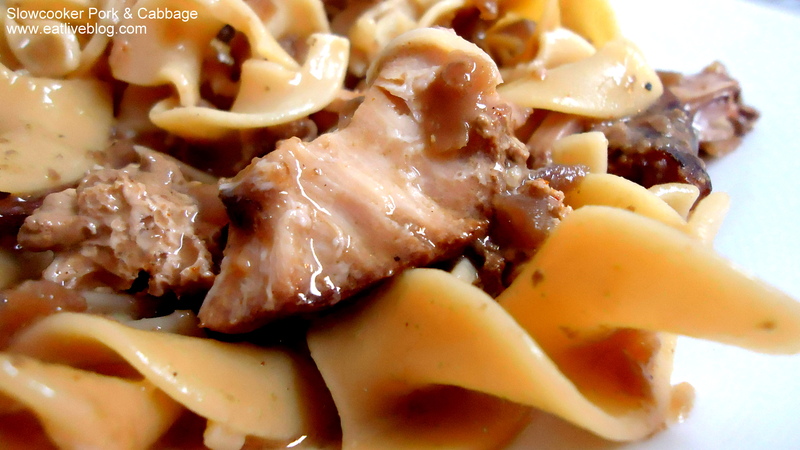 Great first photo – that sounds like a really perfect slow cooker meal. I was in the the habit of using mine every Monday and need to get back into it! This sounds delicious! I loooove red cabbage. People always think I’m weird, but it’s so good. PS: I tagged you in my post today!